With okra, spaghetti squash, and PORK! We may be located in north Georgia, but in the world of farming, Riverview Farms falls right in the middle. 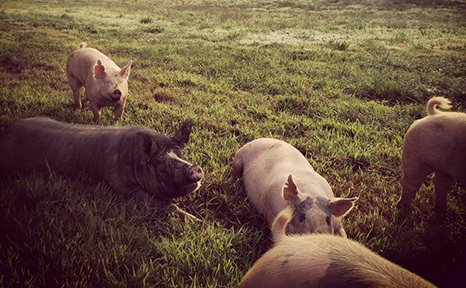 We’re a medium-sized farm that grows a fair quantity of delicious vegetables and fruits, alongside the complimentary activities of our heritage breed pigs and cattle. Almost all the time, w e sell directly to our end customer. We practice Full Circle Farming. We are (unusually so) a closed-loop medium-sized farm, where our land supports our livestock, and the livestock supports our land—building soil fertility for growing all of our animals’ feed, and produce. It’s a balancing act. We don’t overreach the capacity of our pastures,fields, and forests, and never use artificial or toxic means to force our land or our animals to yield more. Our farming techniques exceed organic standards, and harkens back to a time when farming did not depend on outside, artificial support. Taste our succulent heritage pork or a fragrant juicy melon and you’ll know; our good-for-you-and-the-world practice is not only sustainable, it’s delicious too! 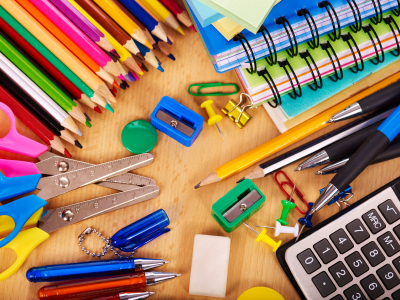 School Supply Drive — Two weeks left!